LOCATION: Antioch, IL. Grass Lake. PARTNERS: IDNR, USACE and USFWS. FUNDING: ILCapital Bond Funds (IDNR), WES (USACE) and User Fees (FWA). PROJECT DESIGN / CONSTRUCTION: HDR Engineering, Smith Engineering, Patrick Engineering and Hey & Associates. COMPLETION DATE: Scheduled 2009. COST: $ 2.5M plus. 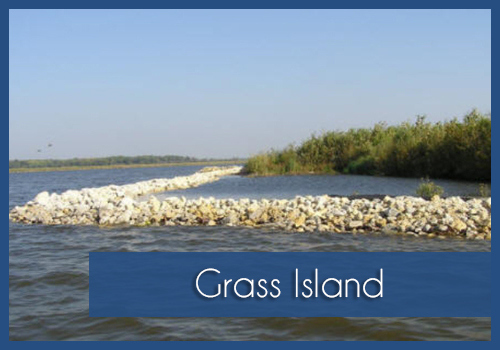 Grass Island is located in Grass Lake, within the Chain O’Lakes in Lake County, Illinois. Over the past 25 years, Grass Island has eroded away. 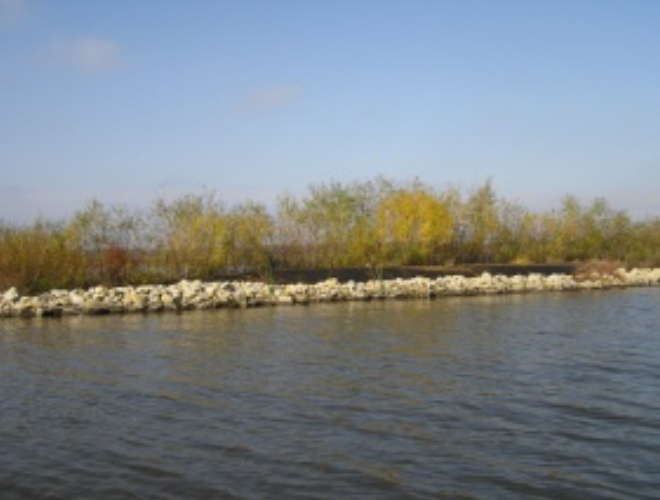 In August 1999, in cooperation with the Illinois Department of Natural Resources, and the U.S. Army Corps of Engineers, Chicago District and Wetland Experimental Station (WES), the idea to create wetlands using dredged sediments was born. The project was unique because not only were fine sediments to be used, but the entire project would be created “in-lake”. Funding would be a joint effort, with IDNR allocating capital funds through state acquired Capital Bond Funds, and the FWA providing all labor and operations costs through user fees. 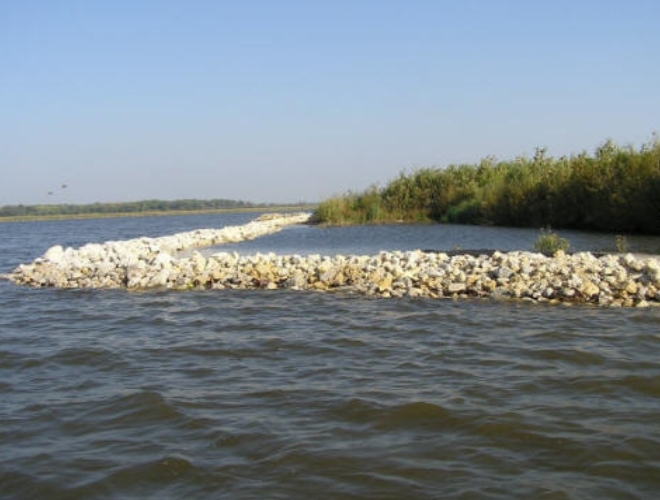 The 27-acre geotube restoration project involved the use of approximately 6,700 linear feet of geotextile tubes of 37.5 foot diameter into which dredged lake bottom sediment was inserted. The tubes created a perimeter berm to for an enclosed space to which additional dredged soils were added. When materials reached specified grade levels, native vegetation was planted, and the area became a refuge for birds and plants. 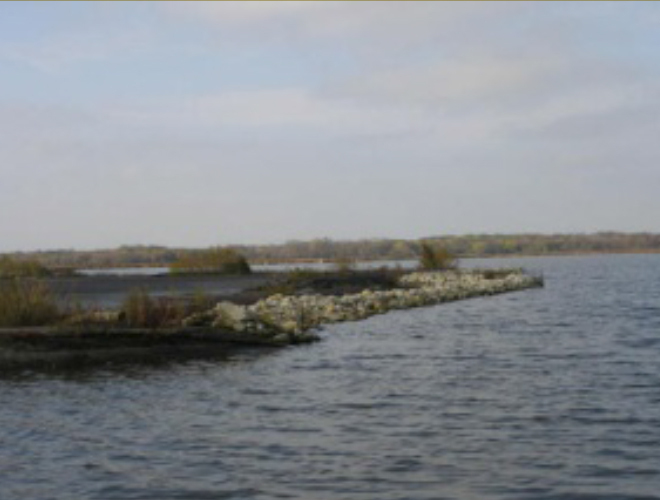 To secure the perimeter, due to damage from human impacts such as snowmobiles, boats and other debris, as well as natural impacts due to ice , wind and wave action, 2005 marked the start of a perimeter protection effort with over — tons of riprap shoreline protection. The protected island is a permanent solution. 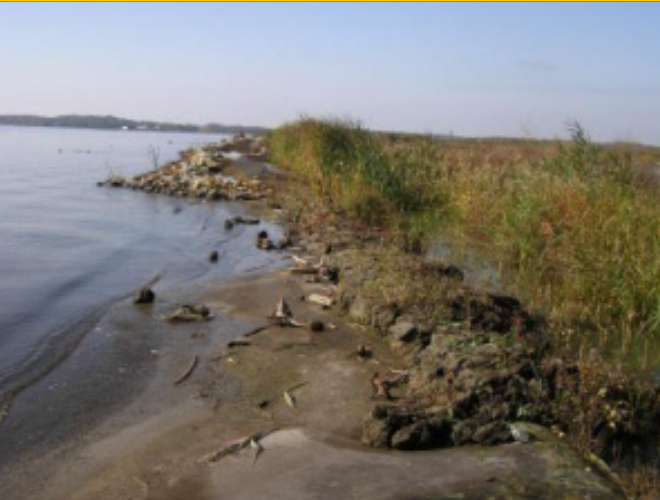 It is an example of applying practical engineering techniques to a natural system to aid in the recovery of critical habitat, while also serving as a confined disposal facility for dredged lake sediment. The Forster’s Tern have returned as well as a variety of other birds, while containing over 200,000 yds3 of dredged sediment.